Is there a way to rotate the image 90 degrees v 180? 180 is great if you’re hanging it upside down, but 90 is more versatile with various mounting limitations. I don’t believe there is a way to rotate the image 90 degrees. The only way I would see that being possible, is if you downloaded it to your computer and used a free software to rotate the image. In one of my locations I also needed a 90 degree rotation. I was able to manipulate the cam and base in such a way as to get an upright view. If you’re having a positioning issue, you can unscrew the hinge, and turn the mount around. That provides a different degree of freedom, especially if you are pointing the camera out a window. Don’t lose the little nut. I have the same problem. Mine is in a corner and I only need about 70 degrees of rotation and motion detection. My cam often points toward the wall and gets stuck. Can you detail exactly how you got yours to just do 90 degrees? a workaround would be to use an android emulator and tinycam. Not the most elegant or efficient solution. Still wishing for some kind of html or TVOS port. 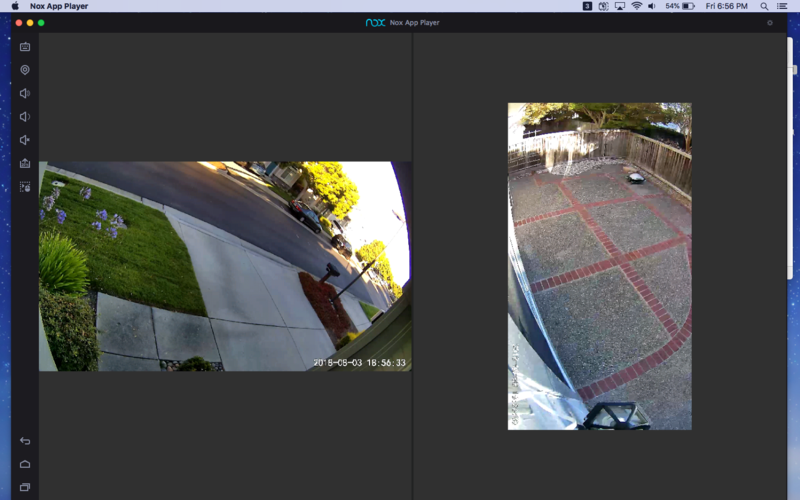 If i add the wyze cam to my android app called TinyCam Pro, I can rotation the image 90 degrees in their app. I don’t why wyze cannot do it in their app.